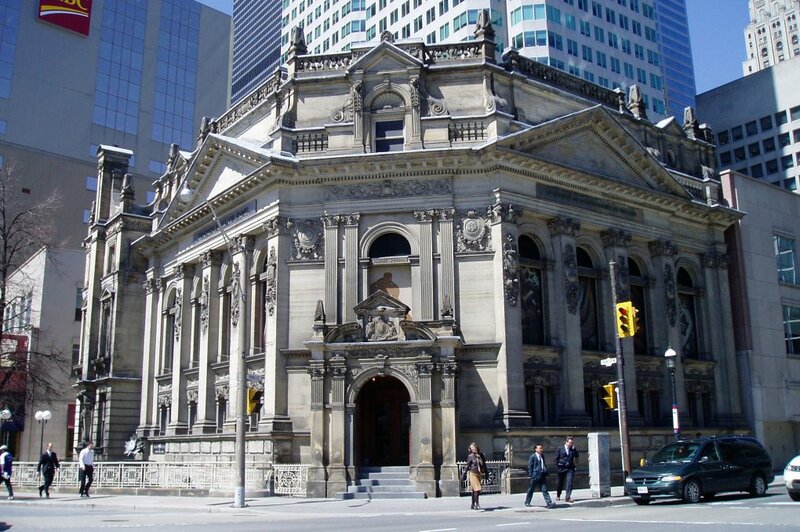 Today is the day the NHL will welcome four new inductees into its Hall of Fame. They will open the doors for power forward Eric Lindros, player, coach, and general manager Pat Quinn, Russian scorer Sergei Makarov and longtime Los Angeles Kings and Montreal Canadiens Rogatien Vachon. Each have marked the sports of hockey in their own way by their play, their character, their innovation and success. Seen as the year of the forgotten, this crop of inductees allows players who didn’t get the stellar numbers to make their entrance after a considerable waiting period. The no. 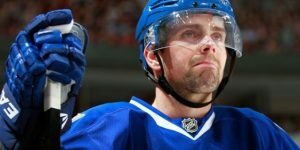 88 is entering the Hall of Fame with some criticism just like he did when he was drafted by the Quebec Nordiques back in 1991. 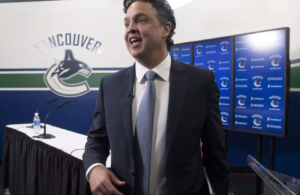 We all remember too well, when Lindros refused to show up on stage with a Quebec Nordiques jersey despite the Nordiques making him their first selection. 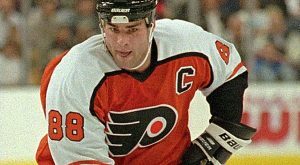 Lindros ended up being traded to the Philadelphia Flyers in a blockbuster deal that saw him becoming the main pivot of the legion of Doom with left winger John Leclair and right winger Mikael Renberg. The line at the time was dominating and Lindros himself dominated his sport. 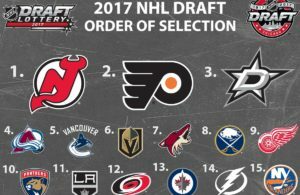 Unfortunately at the peak of his success, the Flyers were only able to reach the Finals once with Lindros as their no.1 center. During his 14-year career, Eric Lindros scored 372 goals and assisted on 493 more for a total 865 points in 760 games played. This averaged to a 1.14 point per game which may have been the deciding factor in his election by the committee. 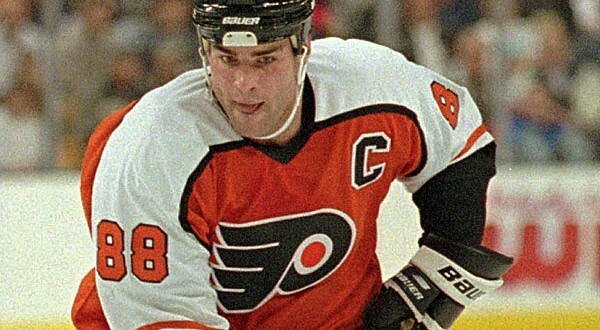 Lindros had his best season in Philadelphia from 92-93 to 99-00. Plagued with concussions, Lindros was never the player he once was after a centre ice hit from Scott Stevens that left him out cold in Game 7 of the 2000 Eastern Conference final. Although, Lindros has never won the Stanley Cup, he is elected into the hall based on the dominance he exerted throughout the 90’s as the typical prototype power forward. Sergei Makarov will be inducted into the Hall of Fame mostly for his success with the Russian Red Army in the 70’s and 80’s. With the CSKA of Moscow, Makarov played 11 seasons and was instrumental in the success of the Red Army at the Olympics and IIHF championships. He won two World Junior Championships, and was named the best player during his second victory in 1978. Makarov was also on the gold-winning Soviet national ice hockey team in the World Championships in 1978, 1979, 1981, 1982, 1983, 1986, 1989 and 1990 and in the Canada Cup in 1981. At the Winter Olympics, he won the gold medal in 1984 and 1988 and a bronze in 1980 as a member of the USSR team. A member of the famous KLM line with the soviet Union, he Makarov was drafted by the Calgary Flames in 1983 and was allowed to enter the NHL only in 1989 with the Flames. 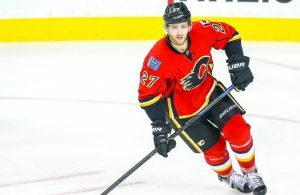 In his rookie year, at the age of 31, Makarov won NHL rookie of the year and was awarded the Calder Memorial trophy. 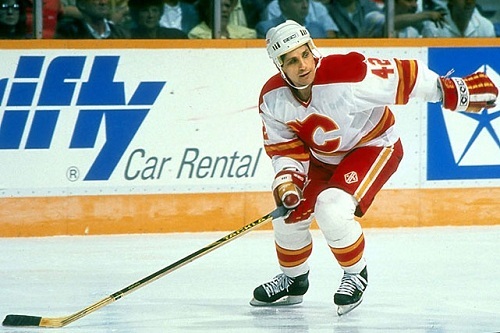 In 1989-1990, Makarov recorded 24 goals and 86 points. In the case of Sergei Makarov, his recognition is well deserved from his success on the international scene. With the CSKA Moscow, Makarov managed to score 1.37 point per game. He ended his career in 1997, after only 4 games with 134 goals 250 assists for 384 points. For Rogatien Vachon, the calling into the Hall of Fame is also a long awaiting journey that will end tonight. 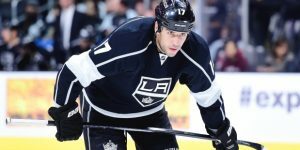 His playing career spans over 17 seasons with the Montreal Canadiens, the Los Angeles kings, the Detroit red Wings and finally the Boston Bruins. 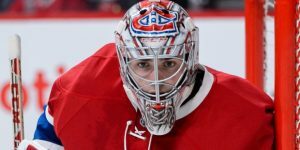 The Palmarolle, QC native, entered the NHL with the Montreal Canadiens as a backup to goaltender Gump Worsley. With the Habs, Vachon distinguished himself with his great reflexes and quick glove hand. Vachon was considered one of the premier one-on-one goaltenders of his era. 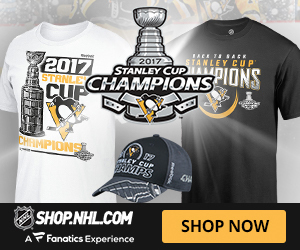 He never allowed a goal on a penalty shot in his entire career. His best year with Montreal came in 1969-70 where he recorded 31 wins, 18 losses with a save percentage of .917 in 65 games played. He won the Stanley Cup three times with Montreal in 1968-1969 and 1971. He also won the Vezina in 1968 and the Canada cup in 1976. Vachon, was traded to the Los Angeles Kings in 1972 after rookie Ken Dryden took his spot making Vachon expendable. 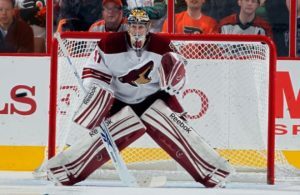 he went on to have a very successful career in Los Angeles as their no.1 goalie. 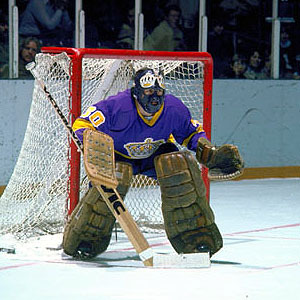 His best season in L.A. was in 1974-1975 where he maintained a save percentage of .926 and 27 wins in 54 games played. in 1976-1977, Vachon recorded 33 wins in 68 games along with a save percentage average of .903. His career numbers were very eloquent with 355 wins in 795 games played and an excellent goal against average under 3.00 at 2.99. After retiring in 1982, Vachon became the Los Angeles Kings general manager from 1984 to 1992 and had stints behind the bench for the Kings. The Hamilton-native will be inducted into the Hall-of-Fame in the builder’s category and is a well deserved election. Pat Quinn played in the NHL, as a defenseman, with the Toronto maple Leafs, the Vancouver Canucks, and the Atlanta Flames. 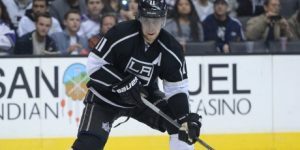 in 606 games played Quinn scored 18 goals and assisted 113 times. He accumulated 950 penalty minutes. Quinn retired from the game in 1977 and became coach of the Philadelphia Flyers in 1978. he went on to coach four successful seasons with the flyers reaching the Stanley Cup Finals against the new york islanders in 1979-1980. 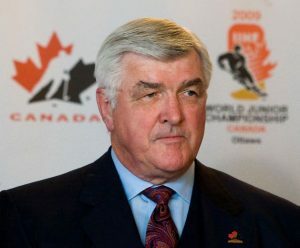 Pat Quinn had other coaching stints with the Los Angeles Kings (1984-1985), the vancouver Canucks (1990-1996) in dual role of general manager and head coach in Toronto with the Leafs from 1998 to 2006. 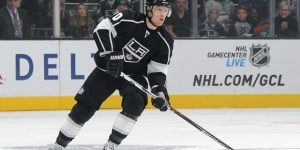 He returned behind the Edmonton Oilers bench for one season in 2009-2010. Pat Quinn, also had the distinction of winning the World junior Championship in in 2004, as their head coach. other honors Pat Quinn won is the Jack Adams Trophy, awarded to the coach of the year in the NHL in in 1980 and 1992. He also won the gold medal in the Salt Lake city Winter Olympics back in 2002 as the head coach. A gentleman, Pat Quinn was a very influential executive in the NHL and is law degree acquired on his own time may have been a factor in his inflence charisma. Pat Quinn passed away 23 Nov 14 after a long illness. At the time of his passing, he was the Chairman of the Hall-Of fame Committee. A great innovator, pat Quinn is one of those individuals who have positively changed the game forever. There is no doubt the crop of 2016 is not the stellar group seen in year’s past but nonetheless, those four great players, coach and general manager have changed the game in their own way and many players of today benefit of their trailblazing career.